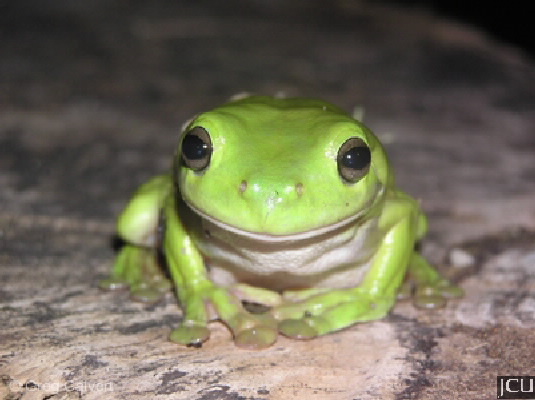 This frog has a green to olive brown body with a white to pale belly. There is a raised glandular area between the eyes, snout is short and rounded. Fingers are webbed at the base, toes are only partially webbed.